Sad day for me, I have sold my beloved 12. I'ts been on the market for a couple of months as I can no longer afford to maintain both the 12 & H2. If I still had a job it would be staying, but alas not the case. This is gutting me as I have owned a 12 for the past 17 years, and this one has been modified and massaged to fit me and my riding style. I will still stay on this site as I have been a member for nearly as long as I've owned a 12. Also I will have a few small bits and pieces to sell off in time. The bloke is picking it up tomorrow, he came around today with a mate who I know and who also owns a 12 for many years - he test rode it and was very impressed with it's performance, and said I should be commended for maintaining it in such a great condition. Yes, not what even I suspected would happen this year, but it's something I cannot avoid anymore financially. It may read as being odd seeing I purchased the H2 last year, which is not a cheap bike, but I had the funds at the time and took advantage while I could. Come back to bite me now I guess. It's going to be bloody ironic if I end up getting a job I've applied for in the next few weeks, as I would have kept the 12 for sure, but things are a bit rough for us currently. Last edited by Duck00; 07-18-2018 at 04:21 AM. WELL, that was a short roller coaster ride in emotional hell!! 2 hours before the bloke was due to pick the bike up he bails on the deal! He said he was pushed to get the funds up, and it would have left him struggling financially!! 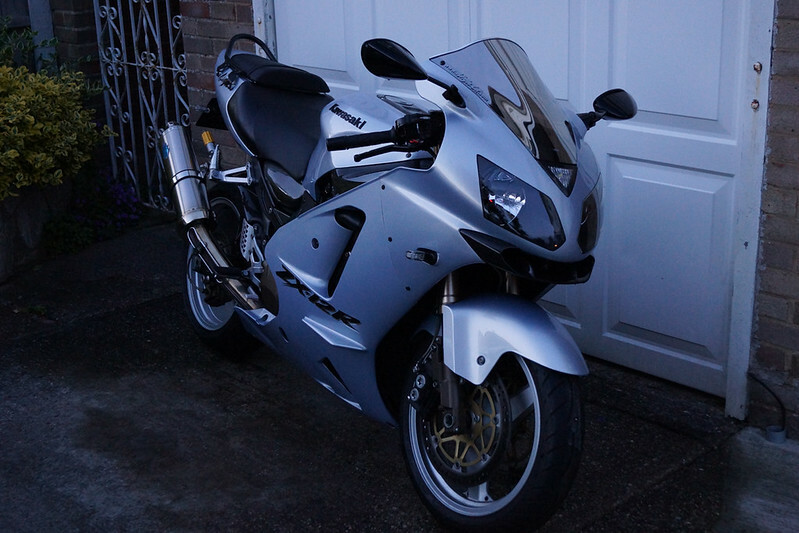 So, for the moment the bike is staying...again...and hopefully I get the job I'm applying for so I can take it off the market as quickly as I can. Don't think I can deal with this happening again. I sold my a week and a half ago... I've moved onto a cruiser (my first Honda, I've always owned Kawi's). Hopefully you will get that job so you can keep the 12, but hey, you have an H2, Not sure how much I would miss a 12 if I had that bike in my garage. Take it off the market until you hear about the job! Yep, a bit of a reprieve alright! Dastardly, guess you'd be looking at a can-am??? (or not!). I do have the consolation prize of the H2 I guess (Ha! ), but it's surprising how much I still enjoy the 12 when I do ride it. The bloke who was going to buy it had his mate who test rode it, he said it made his feel agricultural as mine has undercut gears, quickshifter, bucket loads of power with no lag/flat zone. Interesting thing, and a bit of a worry for me, was the one buying it hasn't been on a bike for 9 years, he's 57, and just seemed a bit in awe, he wouldn't even give the bike a rev while on it's stand! Could have been a sign, it would gut me if he did buy it only to find out he through it down the road. And yes, I have considered taking it off the market till I get a job, just that things are a bit tight at the moment. I wish you the best with finding a good job!!! Very stressful when out of work.